The Food Alphabet and More: Dim sum Nights at Shang Palace.... why not! 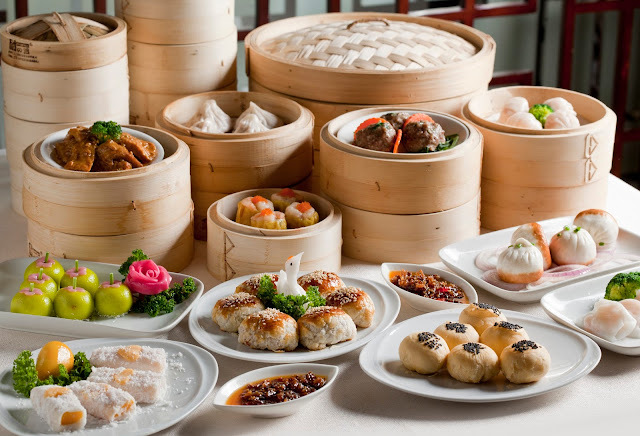 Shang Palace breaks tradition, as dim sum is mostly offered during breakfast and afternoon snacks usually, now you get to enjoy the most delicious dimsum even during dinner time. Shang Palace offers dim sum ala-carte together with your dinner favorites, so you get to enjoy classics such as the Steamed Crystal-Skin Shrimp Dumplings (Hakaw), Steamed Pork Dumplings with Fish Rose (Siomai), Shanghai Xiao Long Bao, Baked Barbecued Pork Pies, Deep-Fried Taro Puffs with Diced Scallops among a few. They also accommodate special requests for vegetarian and allergen-free dim sum. All of Shang Palace's dim sum are made in the kitchens of Shang Palace, under the masterful hands of Chef Leung Ka Fai, and managed by Agnes Chua, promises a delightful dim sum experience with your favorite Cantonese dishes. Enjoy dim sum nights at Shang Palace every night from today until June 30th, and satisfy all your dim sum cravings. CLICK HERE to see their dim sum ala-carte offerings for you to enjoy with family and friends. Call or reserve your table today, make a call to (02)-8142580 or send an email to restaurant reservations at rric@shangri-la.com.